This new Ford feature eliminates the need for a fuel filler cap and allows the driver to simply insert the fuel nozzle. 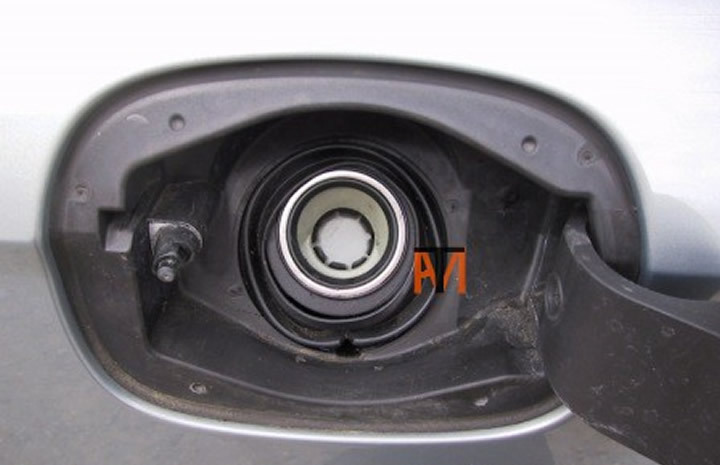 When fuelling is completed, removing the nozzle causes the spring-loaded fuel filler to close and latch, preventing fuel vapours from escaping in to the atmosphere. 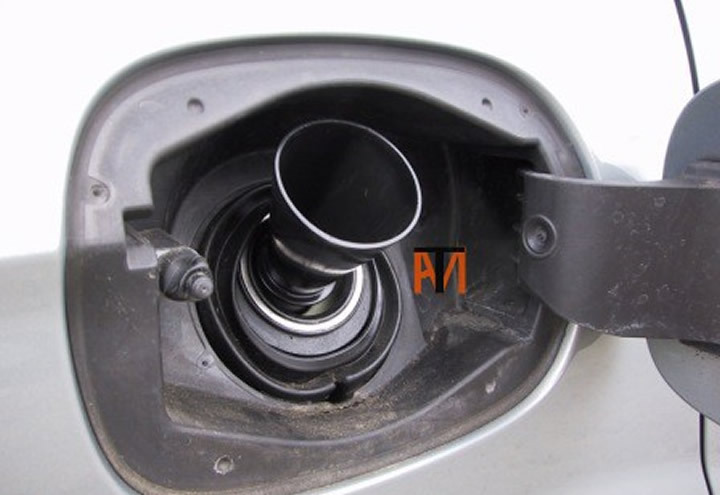 The cap can only be released by the correct type of fuel nozzle there by preventing misfuelling. 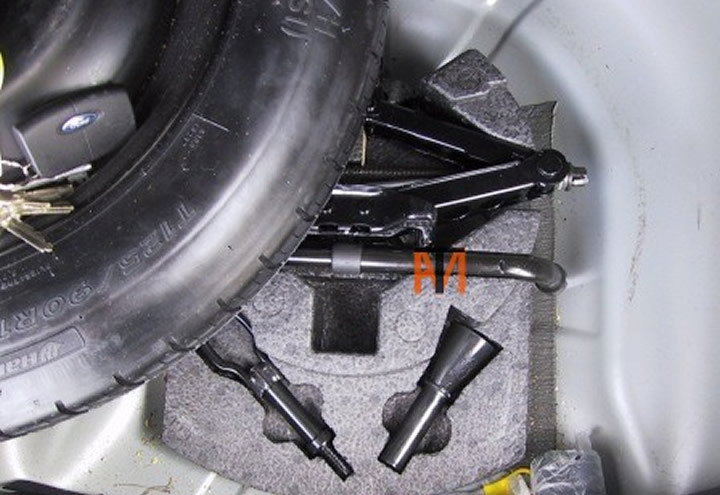 The spring loaded fuel door is held closed by two latches, which can only be released by a standard size unleaded or diesel fuel nozzle, or the special plastic funnel included with the vehicle (see below). How Do I Fill A Ford With No Cap And A Fuel Can?